Cedric felt right at home nestled in amongst these shiny beauts of engineering. The cars ranged from true vintage (pre 50s) to the ‘more modern’ 1970s. The event was open to the public including the residents of Bishops Hull Manor (nursing home). There was something for everyone not just ‘the dads’ including a magic show, horse rides and a swing band! 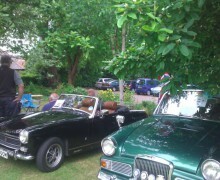 Cedric was a big hit amongst both the enthusiasts and the children (the only classic providing cakes!). He is not used to being the youngster in crowds but today he could relive his youth surrounded by some motoring legends. 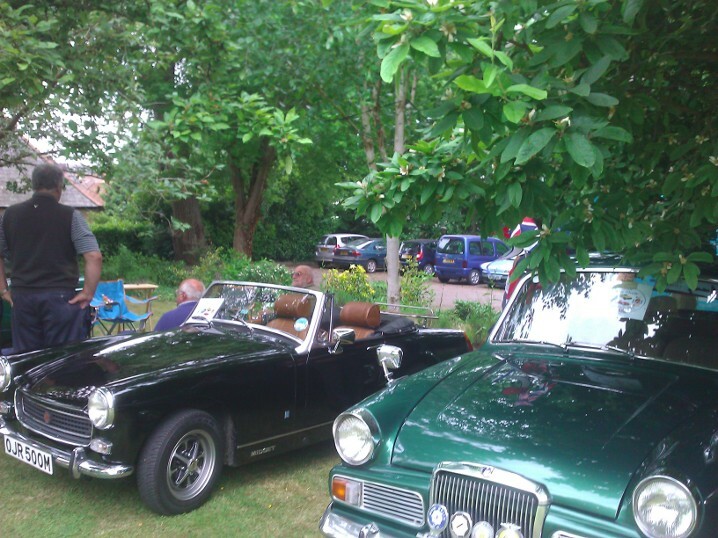 We loved being a part of the classic car scene and are looking forward to future shows in the summer this year. With profits from the event going to the Redcross it was great to see a good turnout.